mold testing, maintetance, repair tools and plastic parts production to the customers. FREZAL company, a family run mold making workshop, was established in 2005. in Ruma, Serbia. During all these years of continuous growth and development, FREZAL has grown to be a reliable partner in this part of Europe’s moldmaking market. FREZAL is specialised for the production of termoplast injection molds, duroplast compression molds and molds for the lost wax process. Constant searching for new challenges and the customers growing needs, had an impact on the company’s fast development. 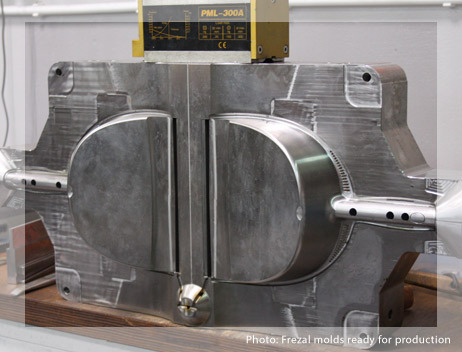 FREZAL has established a complete process, necessary for the production of high quality molds. Our target is to offer high quality services from the mold design to the plastic parts production. We have a team of 20 employees, specialised for the company's two main lines: mold making and injection molding.